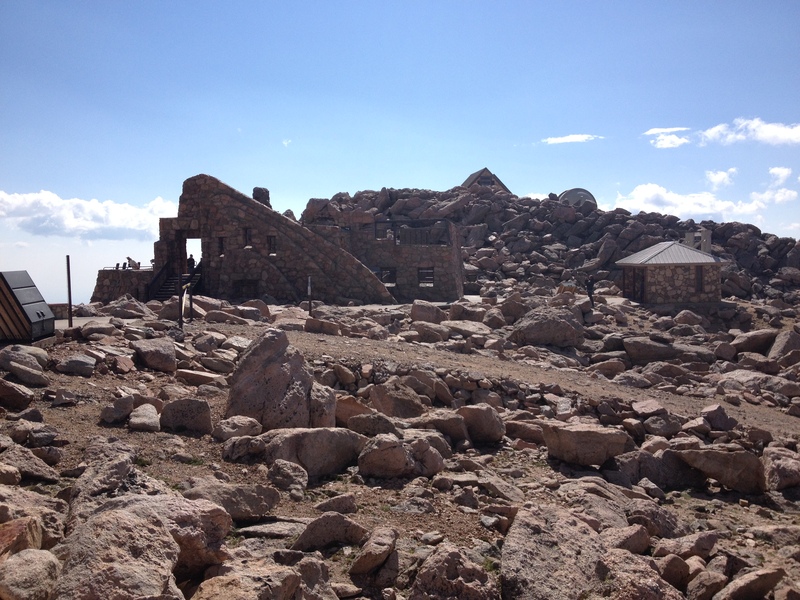 This weekend’s adventure was going to Mt Evans. 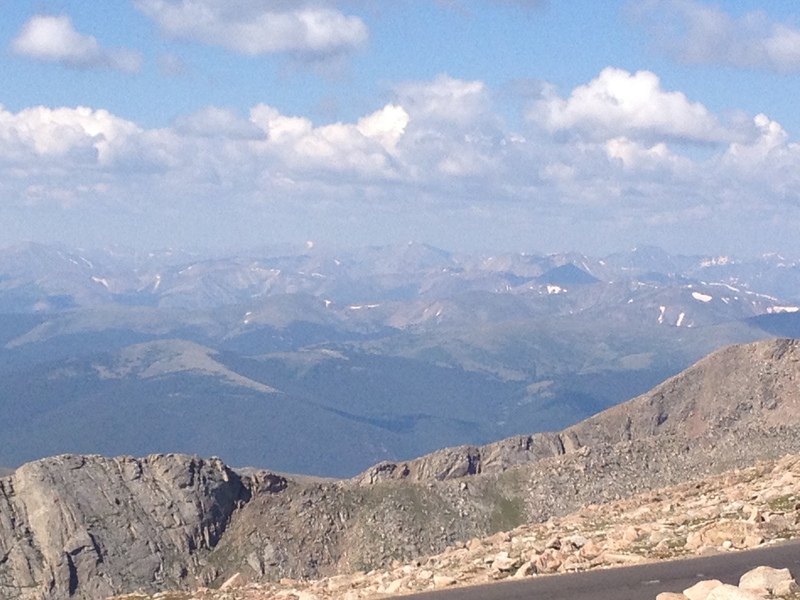 14,000 feet and a view to take away my breath, never mind that I can hardly breathe at that altitude. OK OK so most of it was driving, But I must say the road is not for the weak of heart. And we kept passing people on bicycles! Even a group riding Denver’s rent a bikes with stuffed animals and a bowling ball in the baskets. 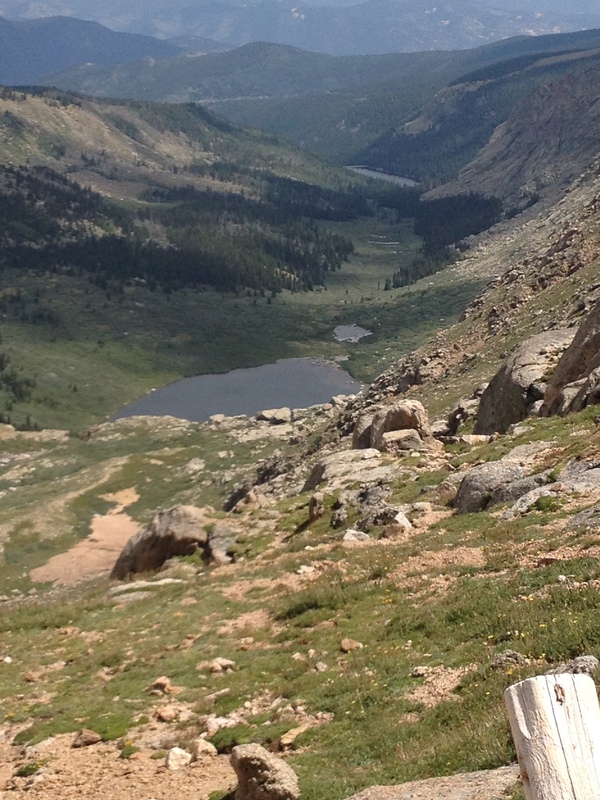 After we walked up to the summit we drove down to Summit Lake and had another hike towards Chicago lakes. 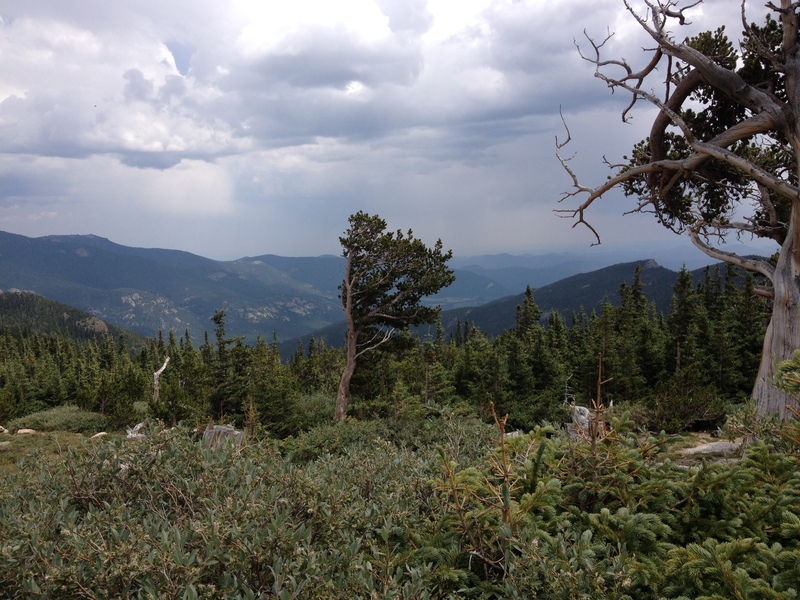 Another drive down took us to Mt Goliath and an amazing forest of Bristlecone Pines. David got to hang with Smokey the bear on Smokey’s 70th BD. Meanwhile this seasons torrential rains and lighting storms followed us down the mountain.We found a great new restaurant in Golden with Venezuelan food called Elote’s café, restaurant and Bar. Wonderful dinner to end a glorious day.